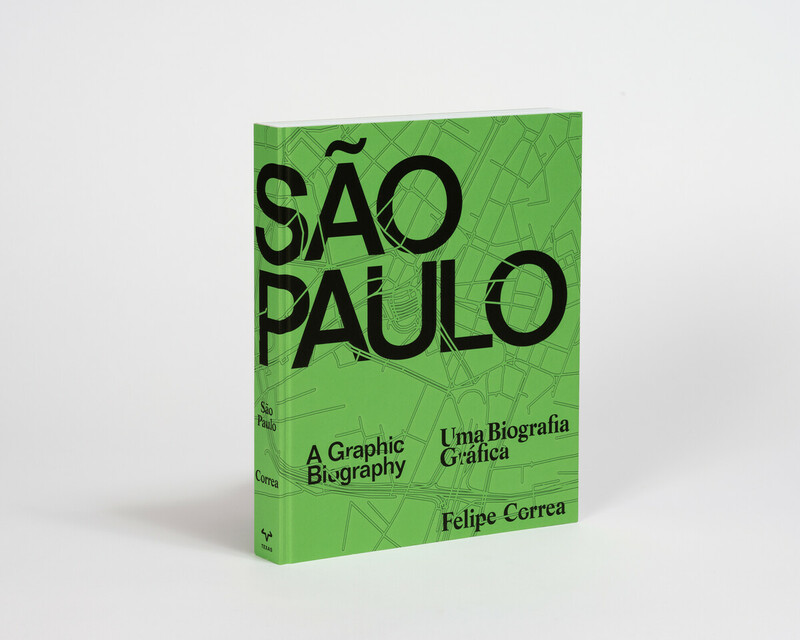 São Paulo: A Graphic Biography presents a comprehensive portrait of Brazil’s largest city, narrating its fast-paced growth through archival material, photography, original drawings, and text. 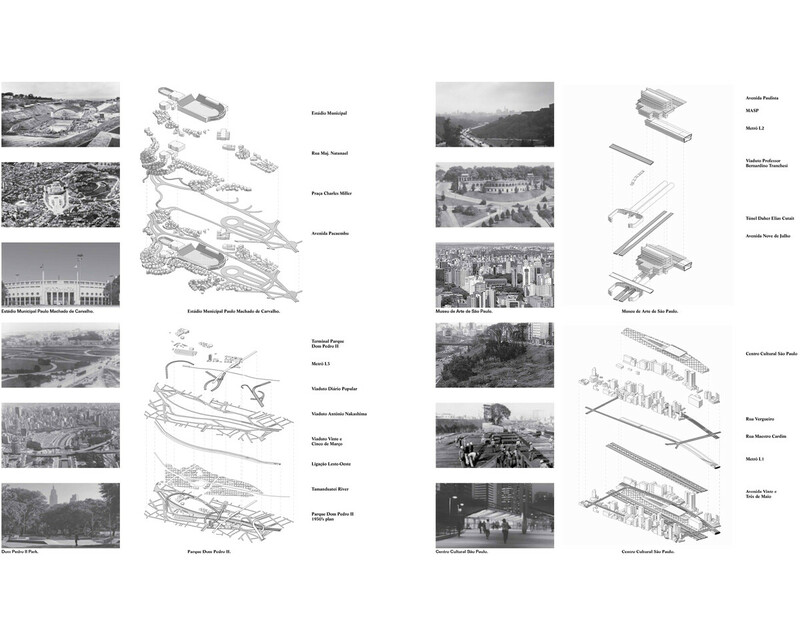 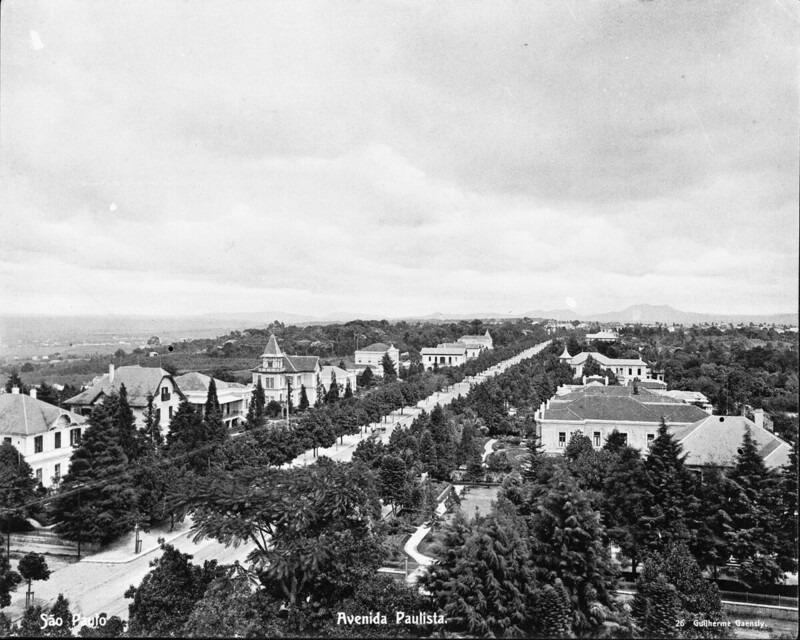 Developed as an applied research project funded by the Haddad Foundation, the material documented in this volume presents the first history of Paulista urban form. 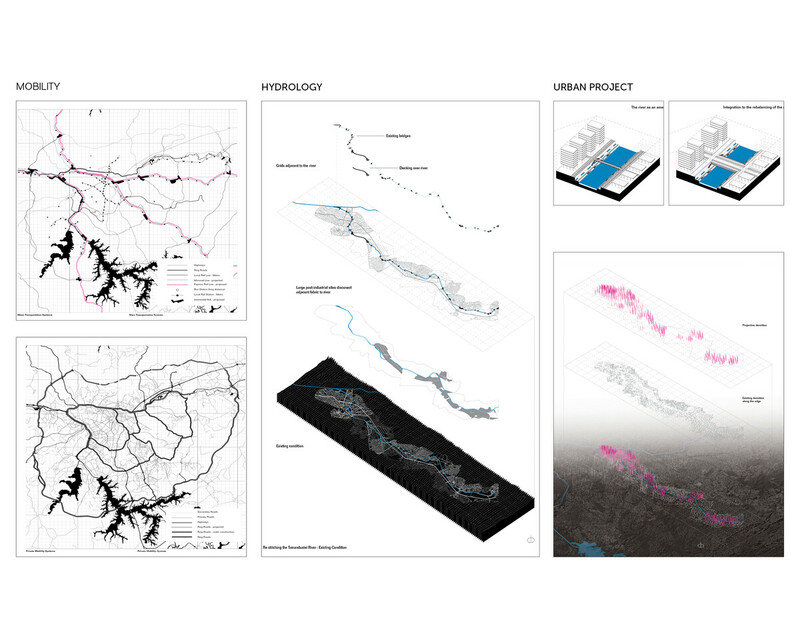 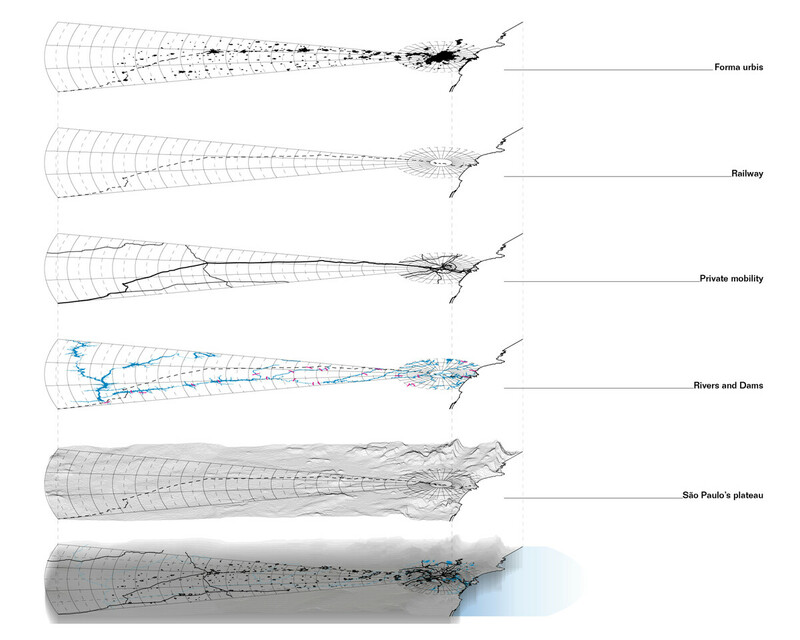 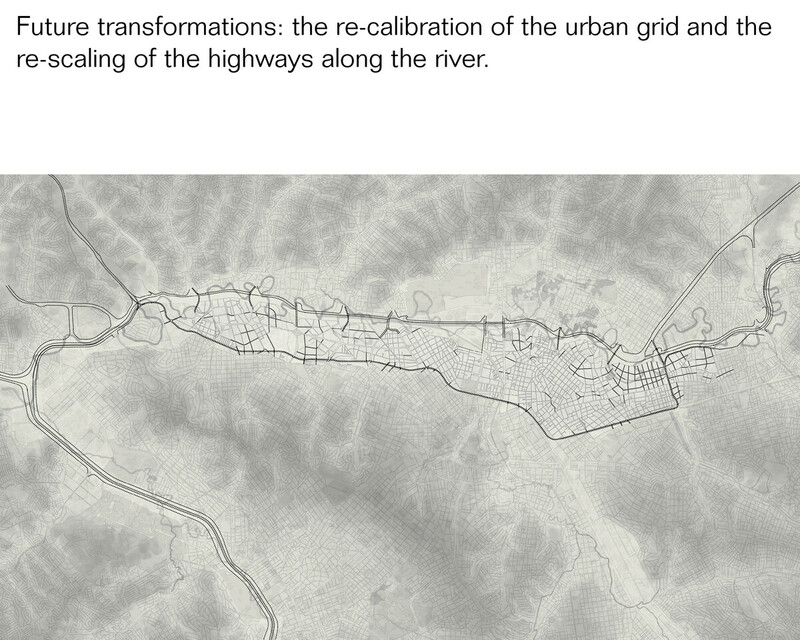 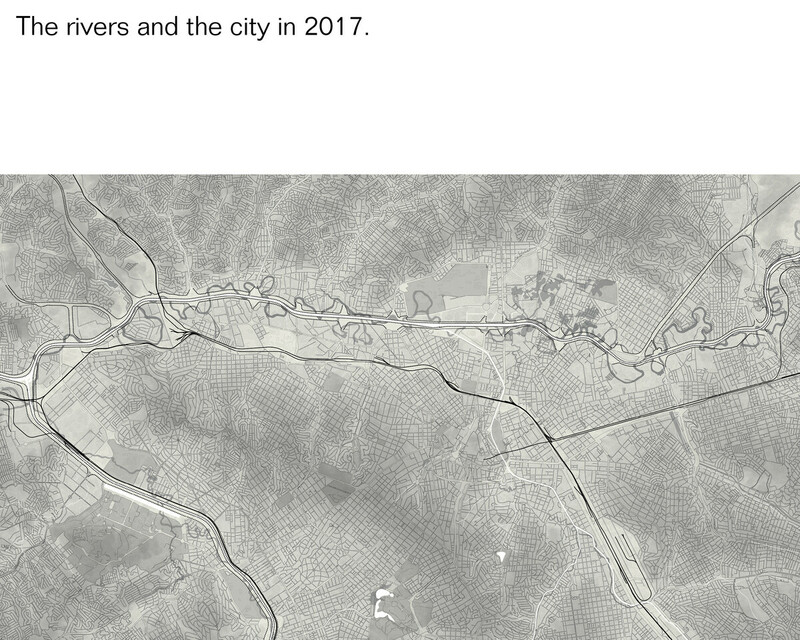 By examining the urbanization of the city through the instrumentalization of its two main rivers, the project explains the city’s evolution as a nodal point between the Port of Santos and the Brazilian interior. 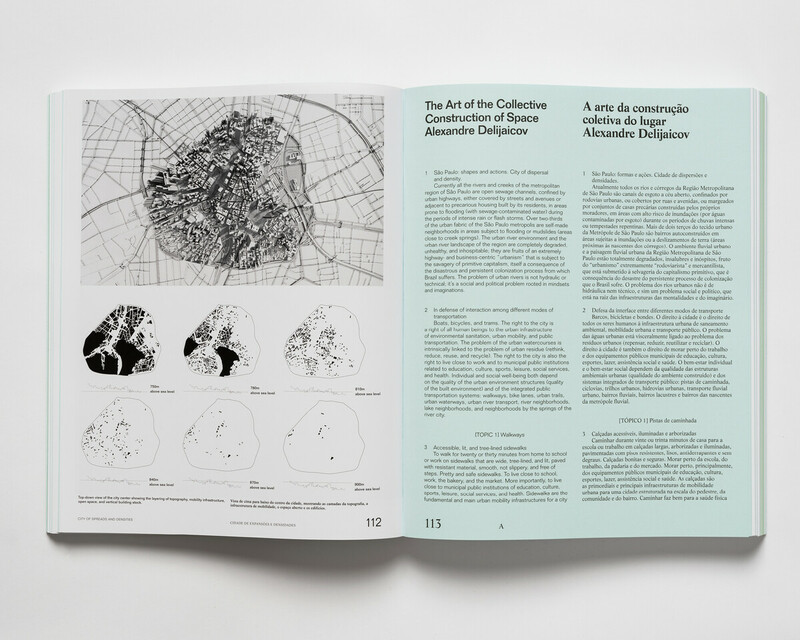 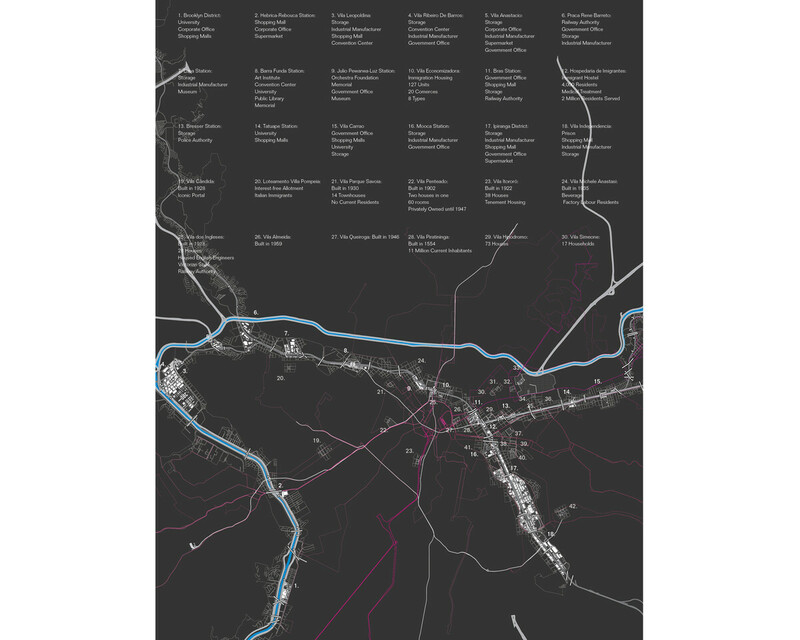 Organized in eight topical chapters, first unit of the research constructs a graphic biography of São Paulo. 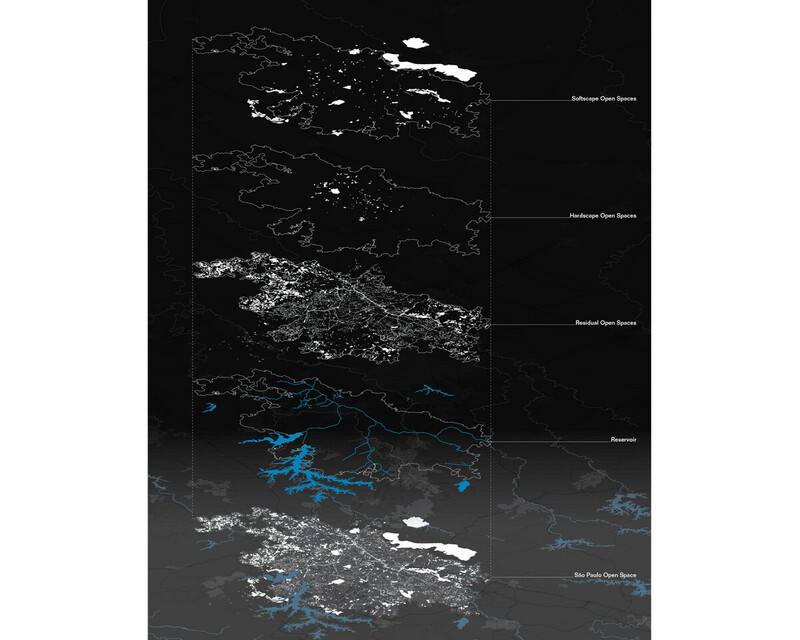 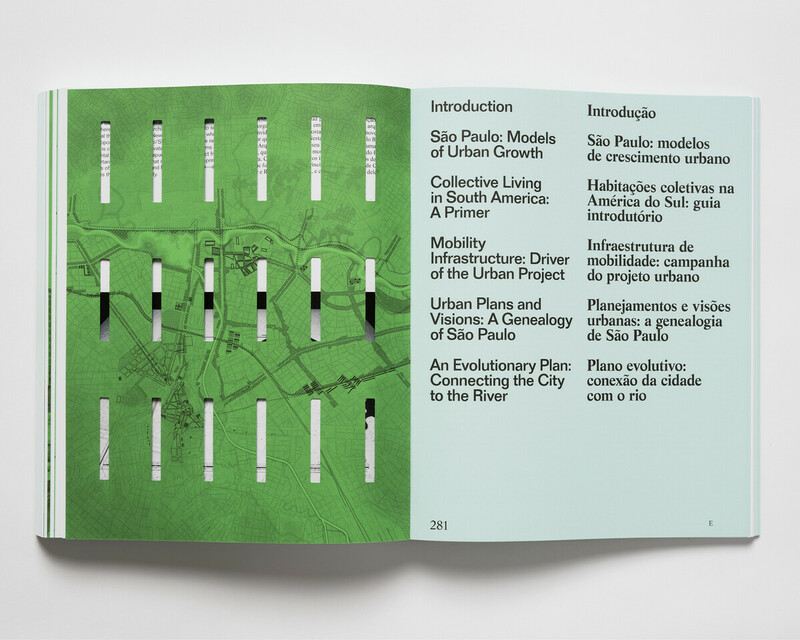 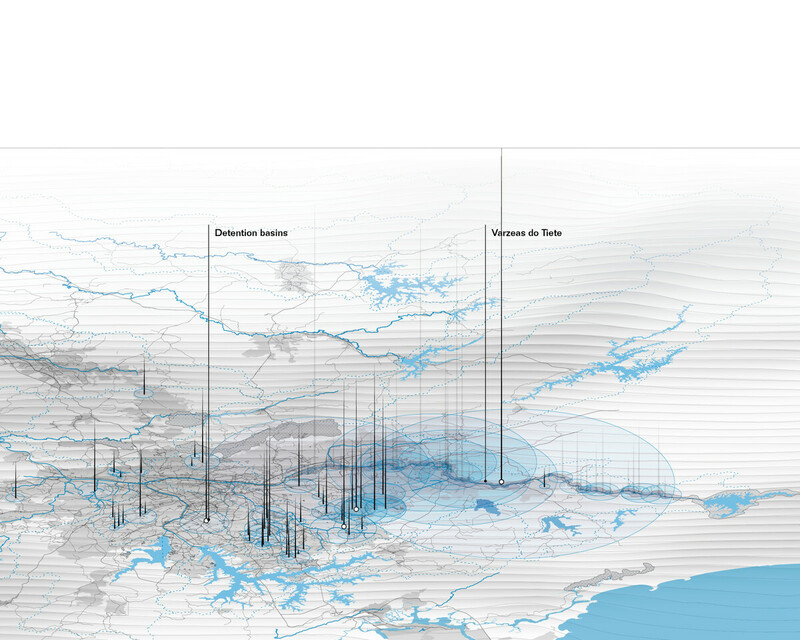 City of Ridges and Valleys examines the evolution of São Paulo through a hydrological lens, explaining the multiple conflicts between water and city over time. 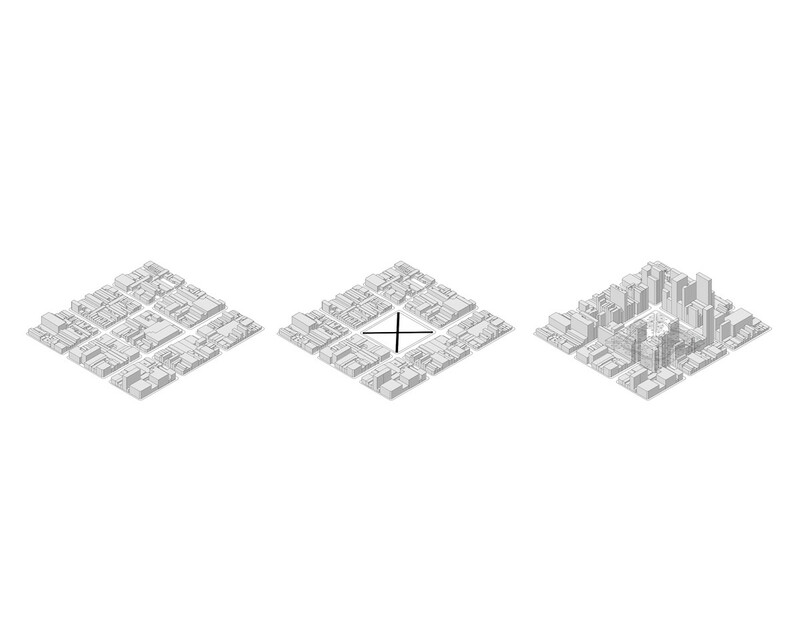 City of Citadels examines the evolution of SP’s urban grids over time, showing the gradual aggregation of agricultural land for urbanization. 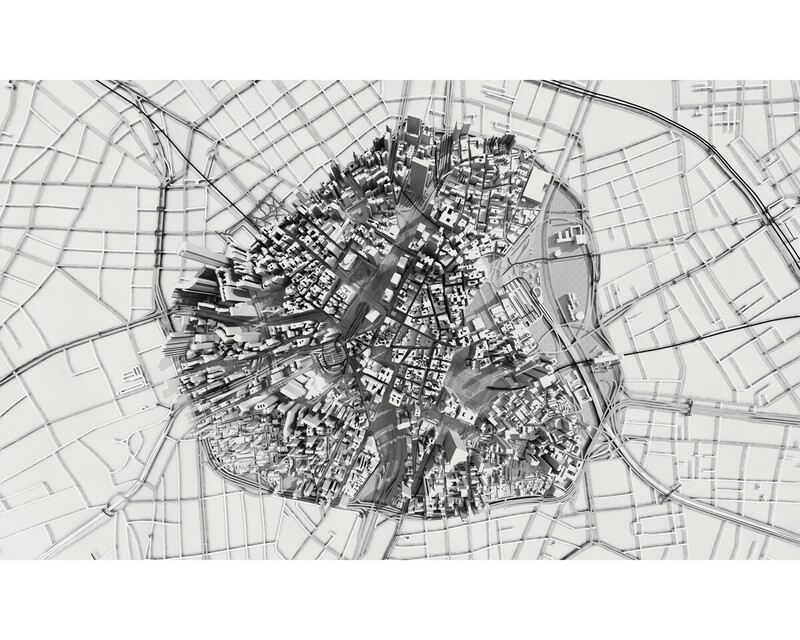 The drawing exposes the city’s piece meal structure, without a general regularizing plan. 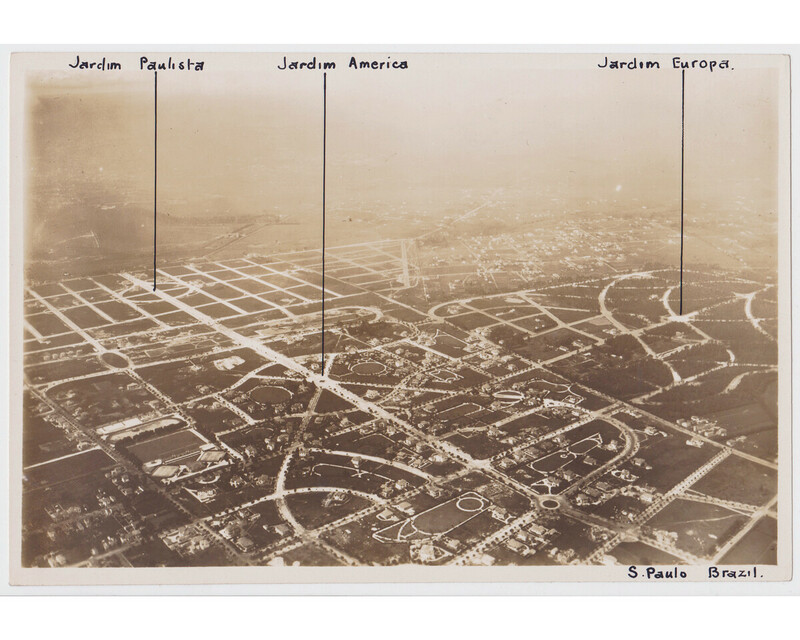 They also highlight the importance of certain subdivision such as Jardim America. 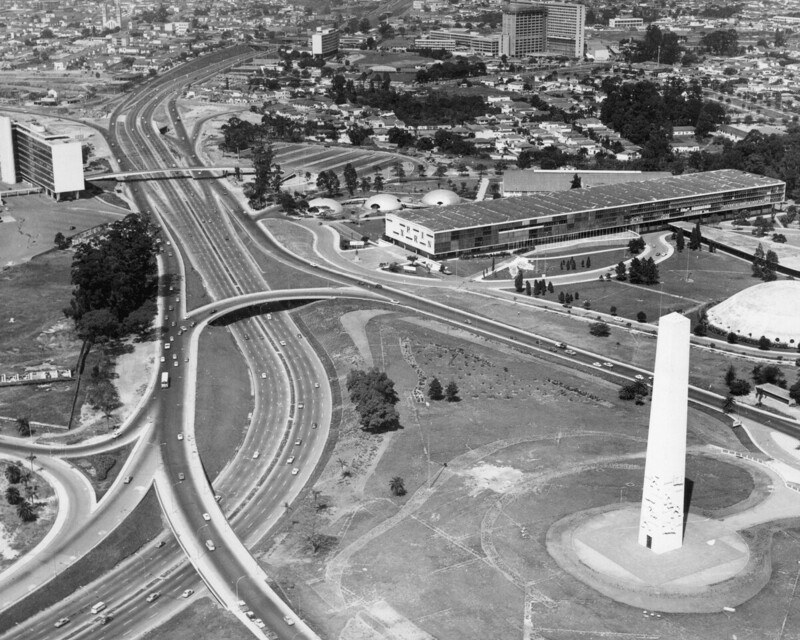 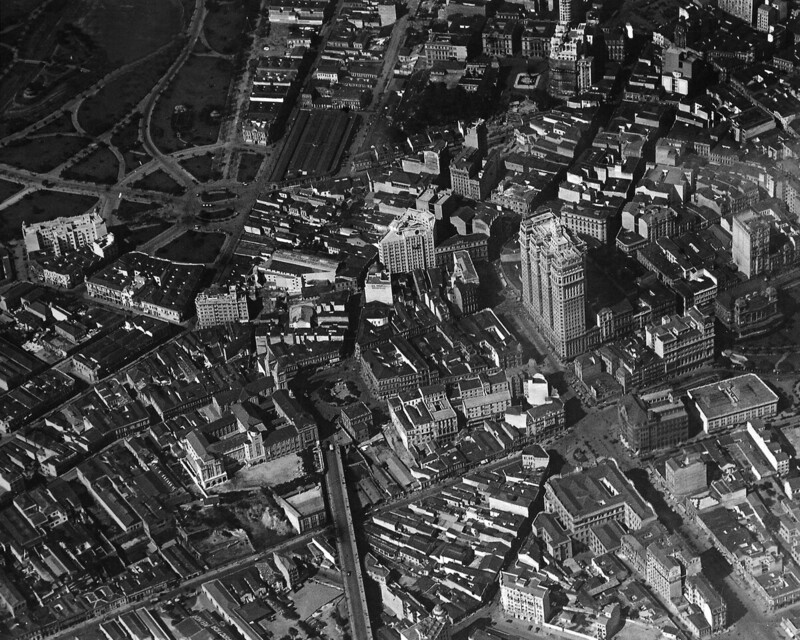 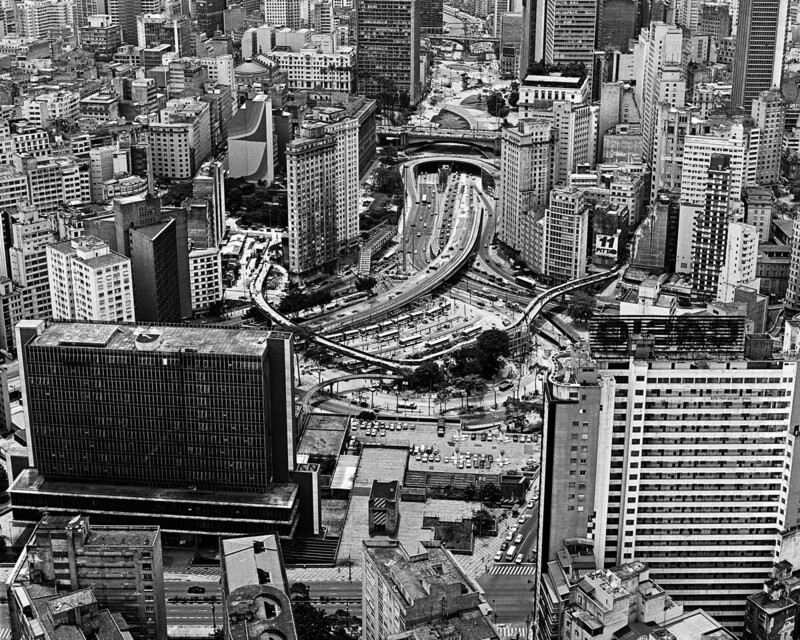 City of Points addresses a very specific condition of São Paulo’s urban form: the evolution of the thin skyscraper, and the gradual transformation of the city’s urban landscape into a vertical concrete jungle. 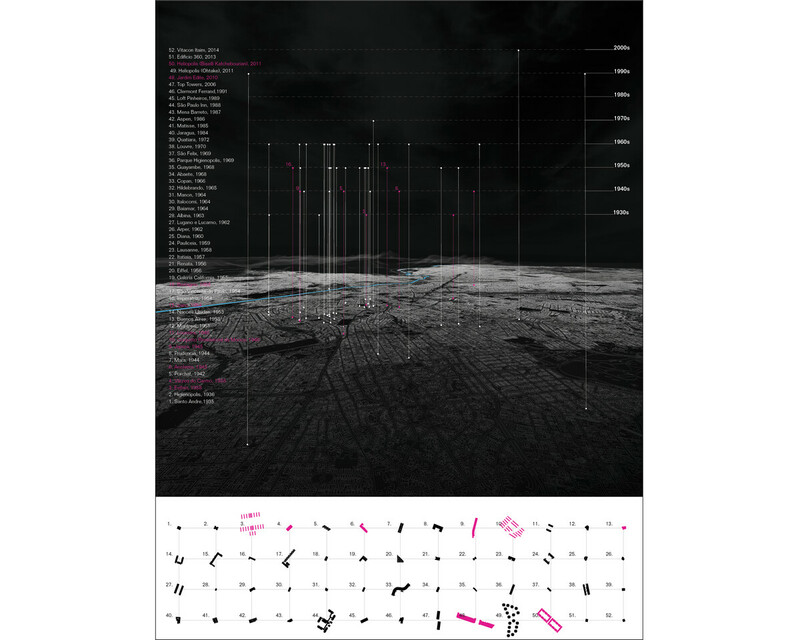 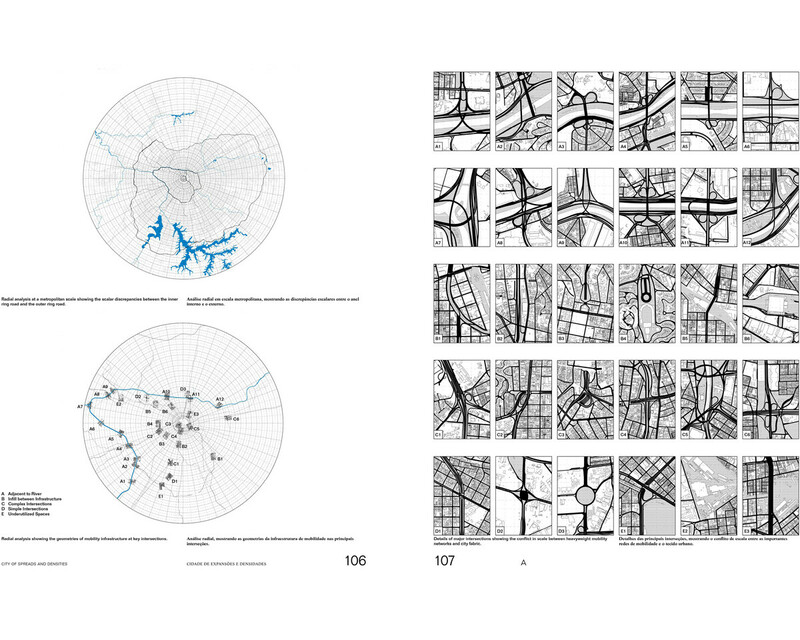 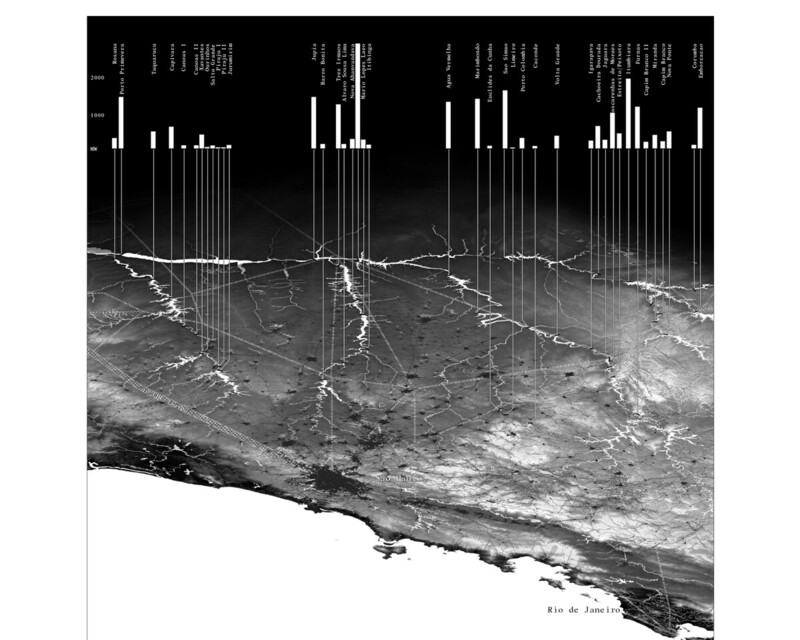 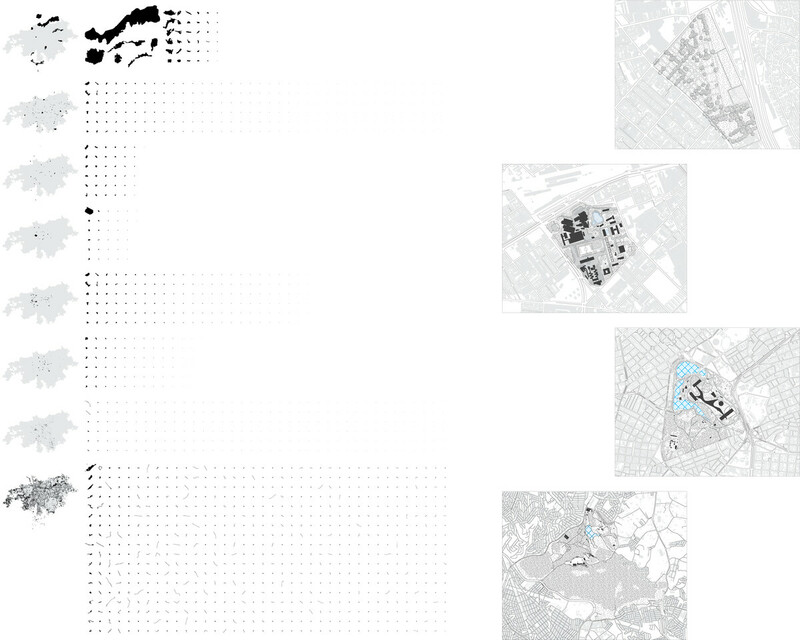 City of Spreads and Densities carefully examines the inscriptions of mobility infrastructure throughout the territory and the forms of urban concentration they have produced. 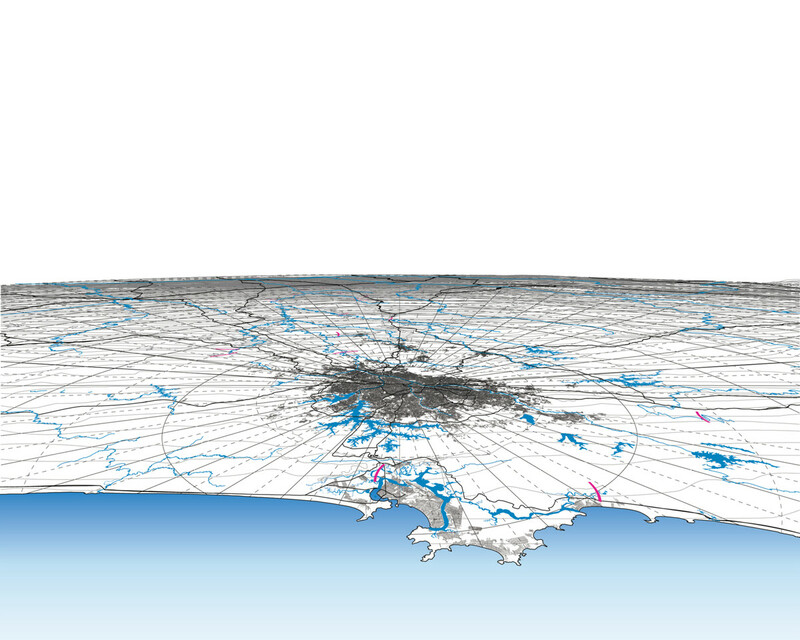 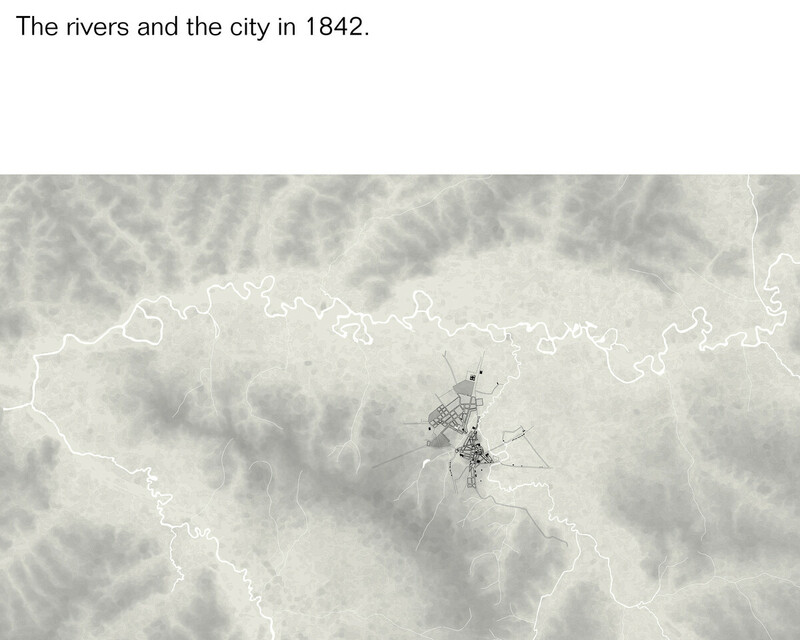 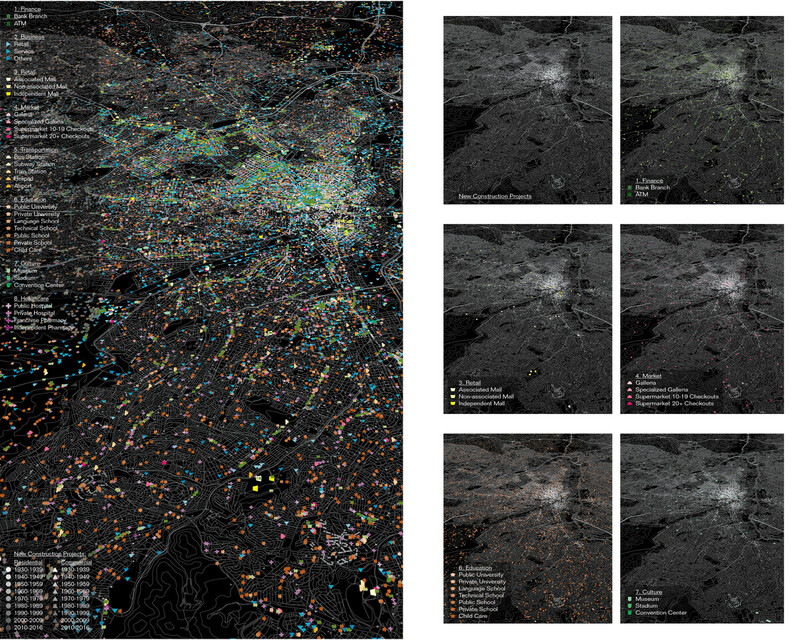 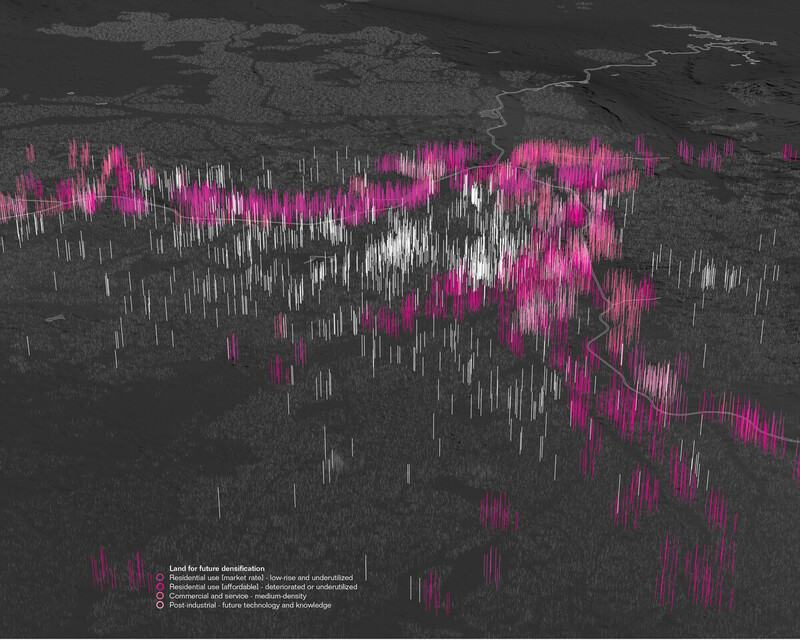 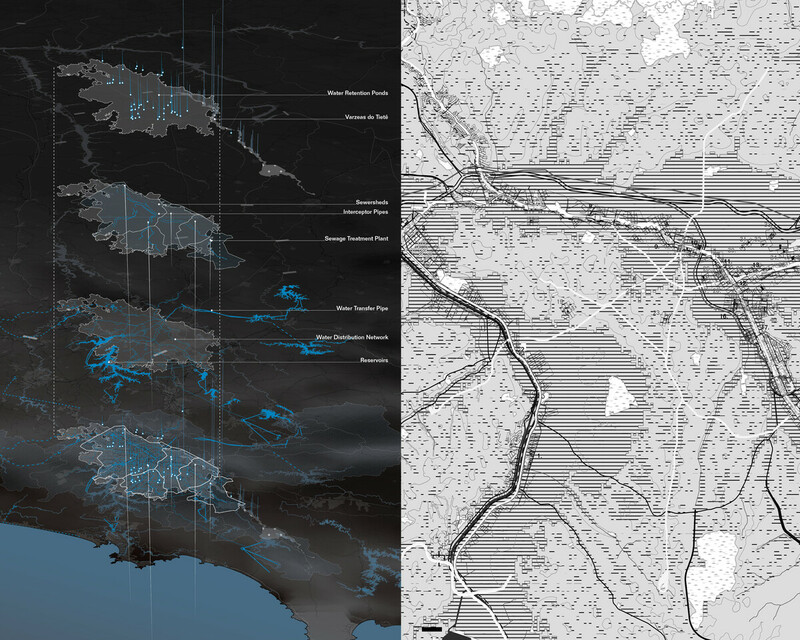 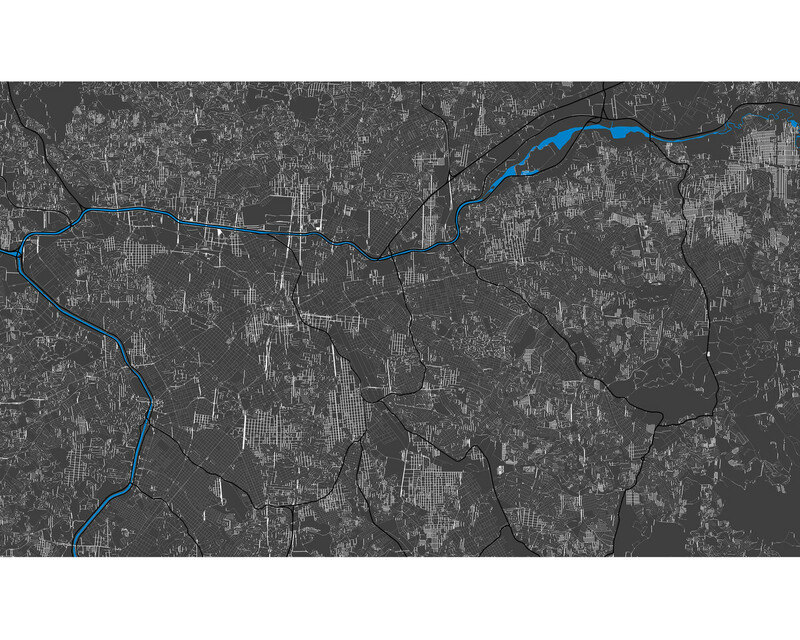 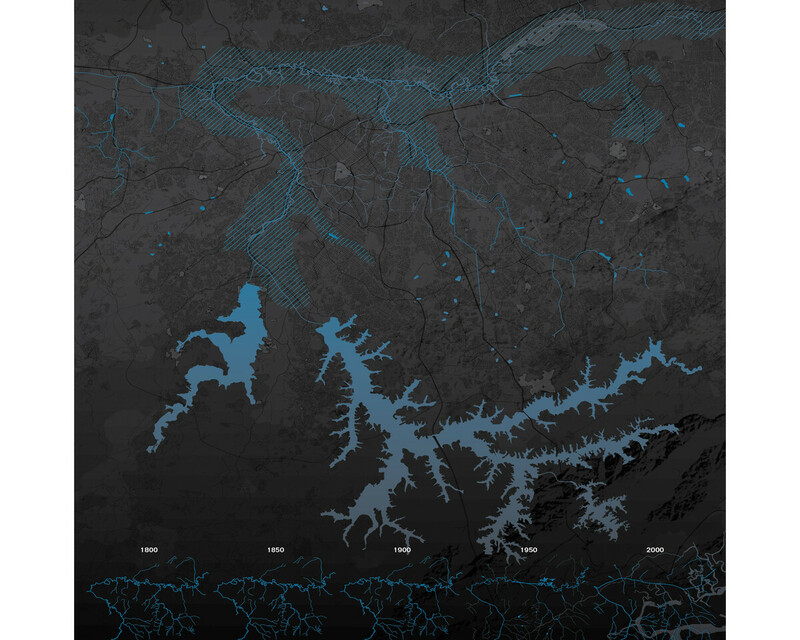 It visualizes São Paulo’s emergence as a nodal point between hinterland and port, and the scalar disconnect that exists between regional networks and city fabric. 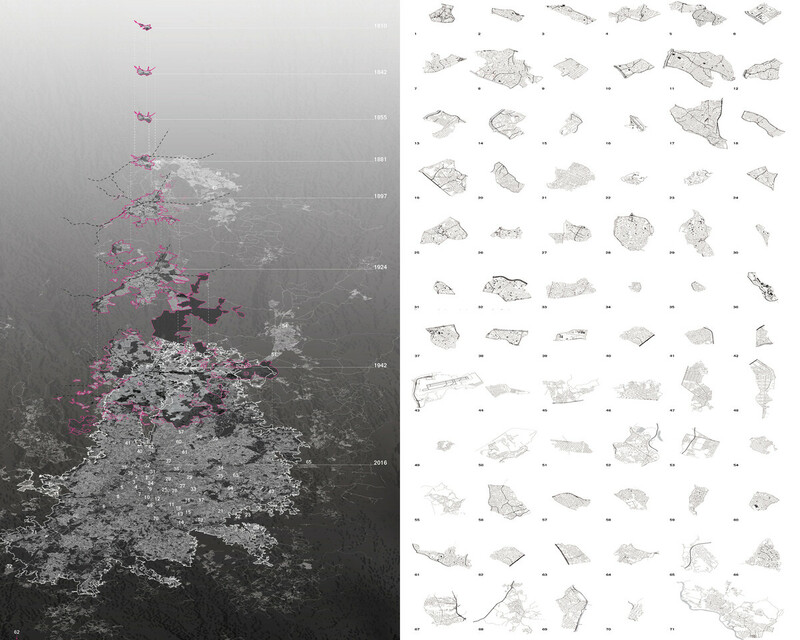 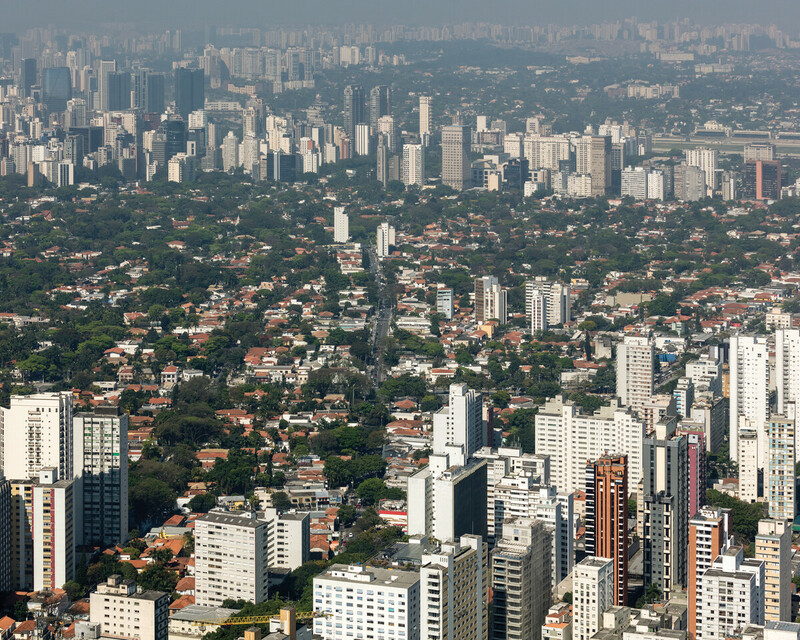 City of Voids provides an overview of the different models of open space present in São Paulo. 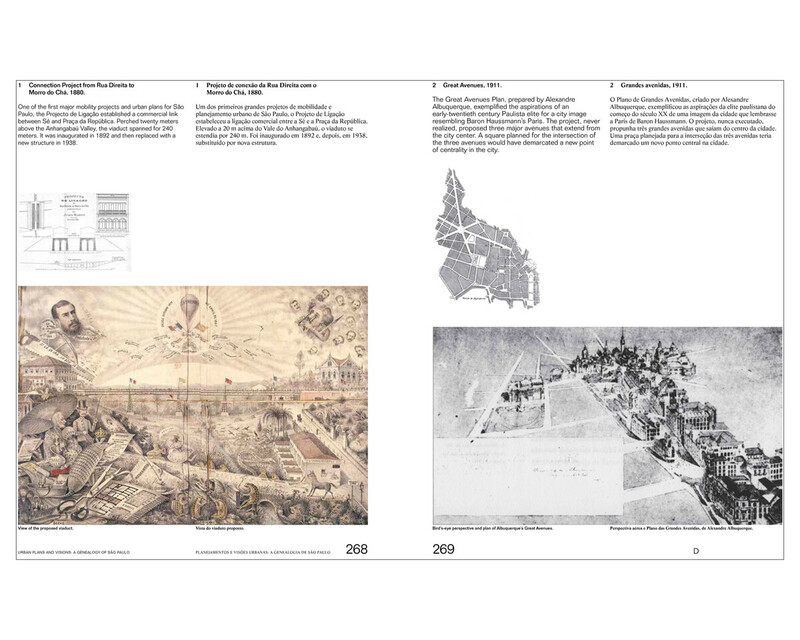 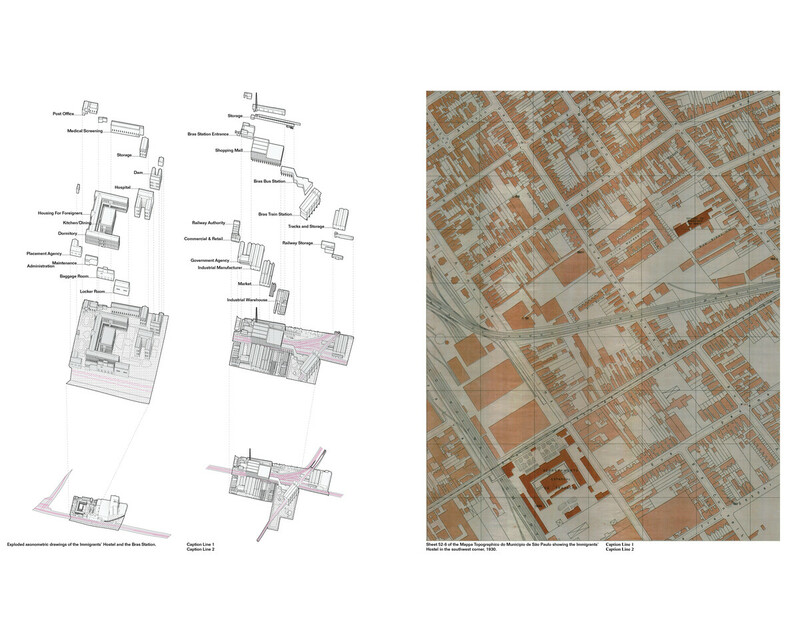 Through a collection of multi-scalar drawings this section provides a taxonomy of the formal and political dimensions of the ways in which Paulistas have organized the spaces between their buildings. 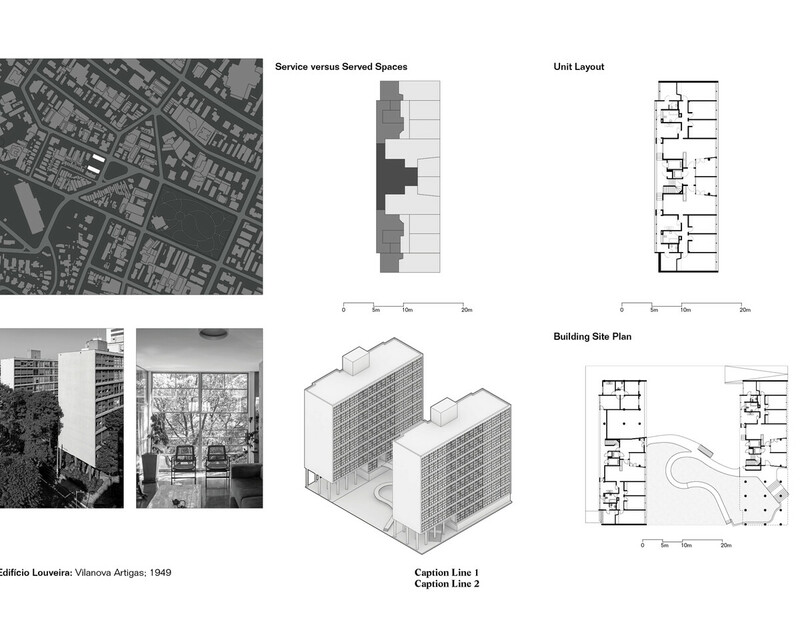 City of Collective Living documents the expansive collection of multi-family residential projects that populate the city. 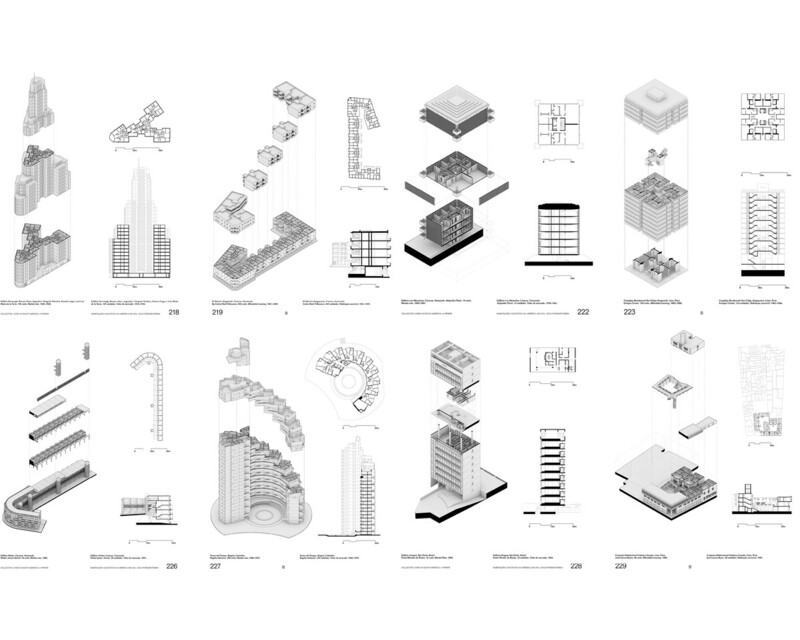 The drawings present the most progressive buildings developed in São Paulo over the course of the twentieth century, singling out the importance of housing and domestic space in the construction of metropolitan identity. 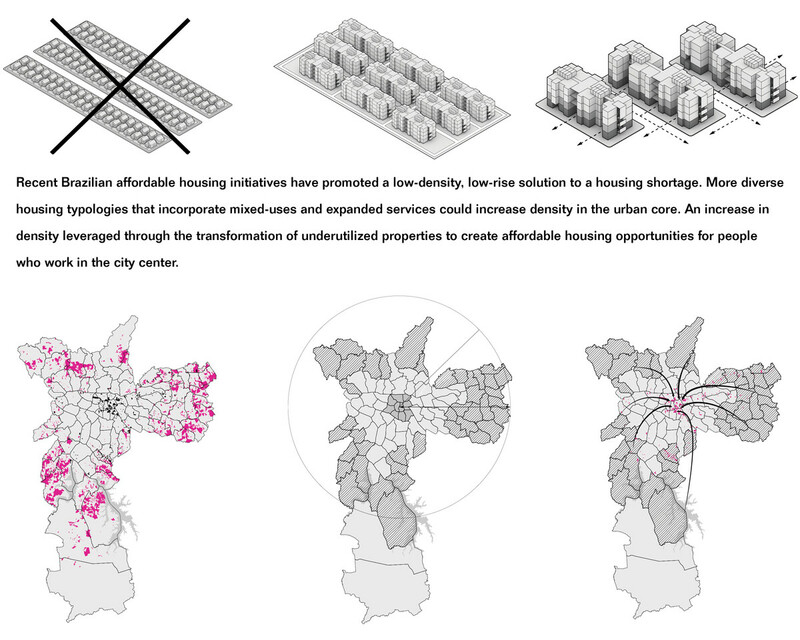 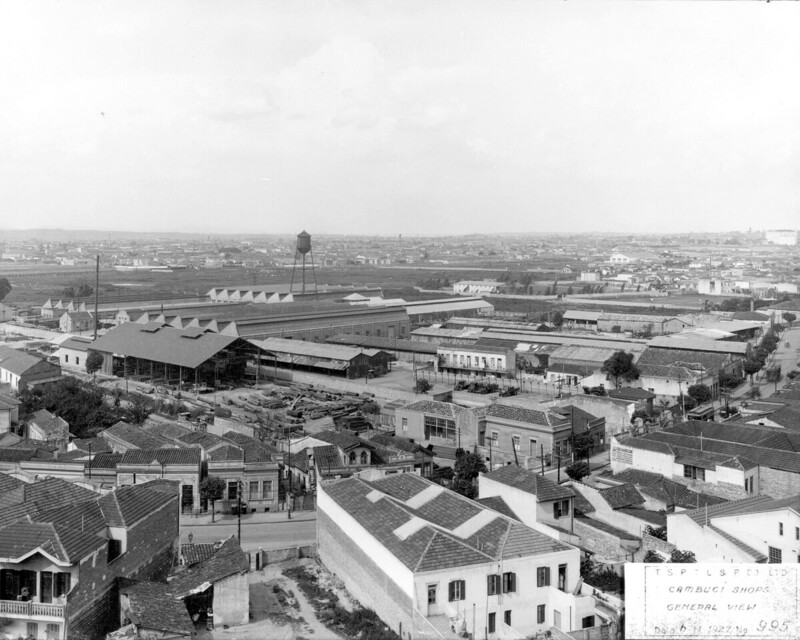 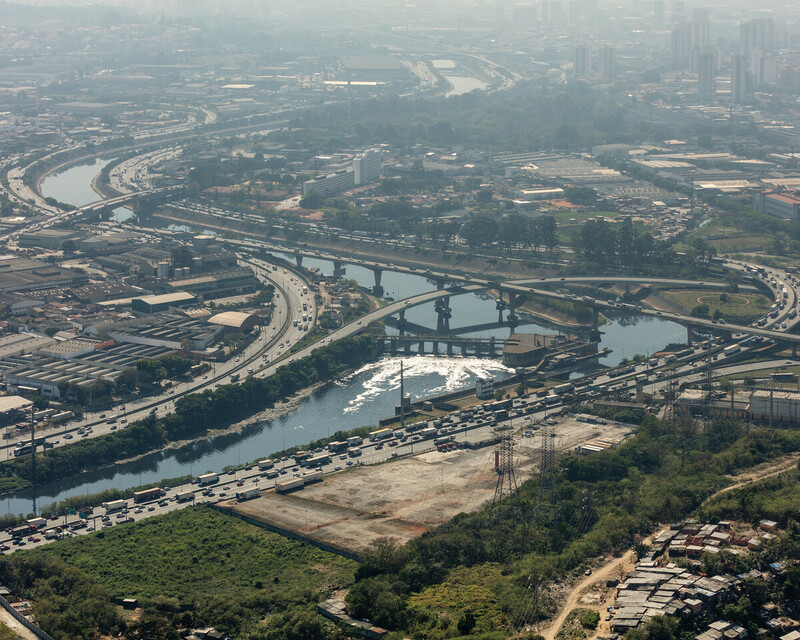 City of Warehouses examines the multiple urban enclaves that developed adjacent to the main rail lines in the city—projects that grew in tandem with the gradual channelization and rectification of the once-expansive floodplain of the São Paulo plateau. 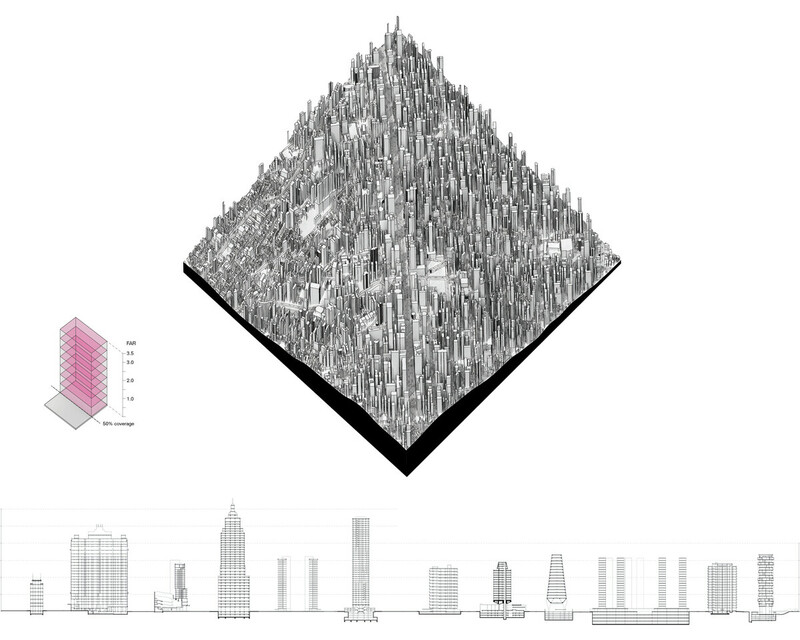 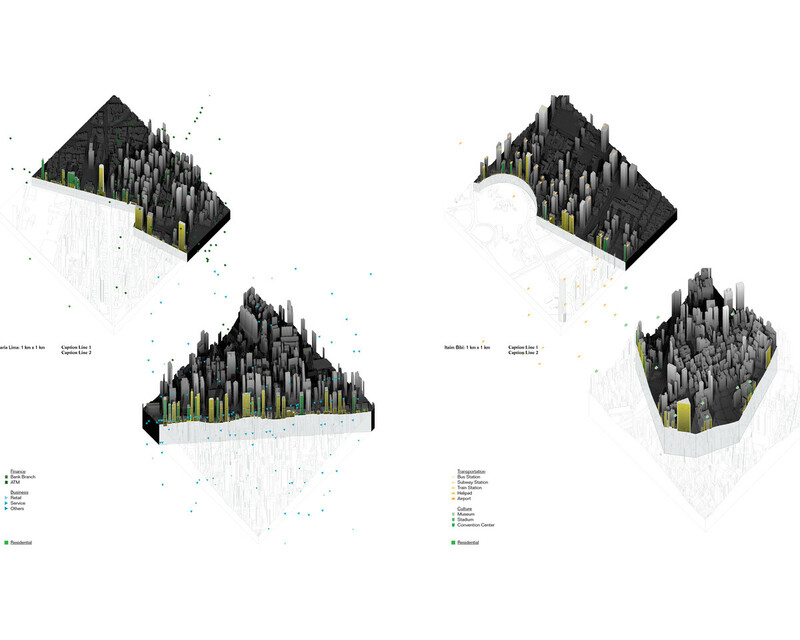 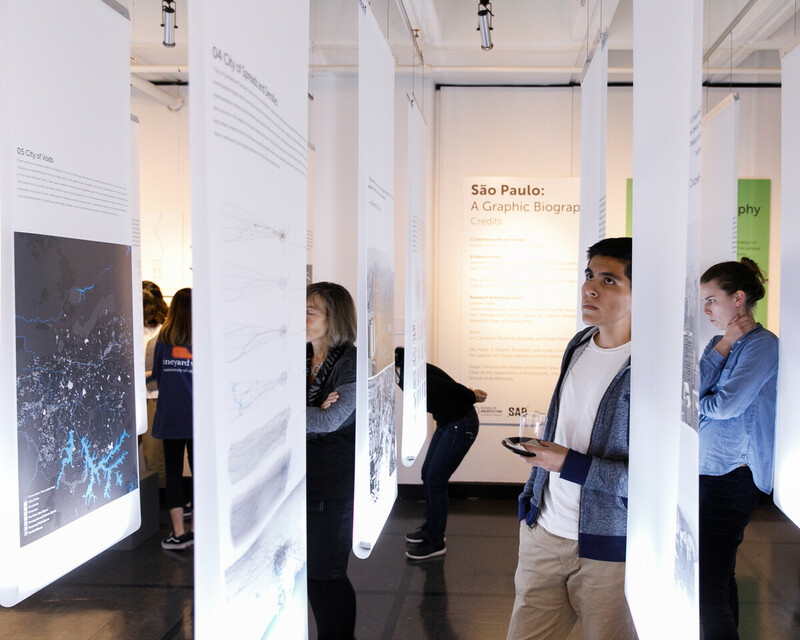 City of Layered Economies examines the growth of the metropolis as seen through the lens of the most dominant industries and services present in the city, and visualizes their effect on the forma urbis of São Paulo. 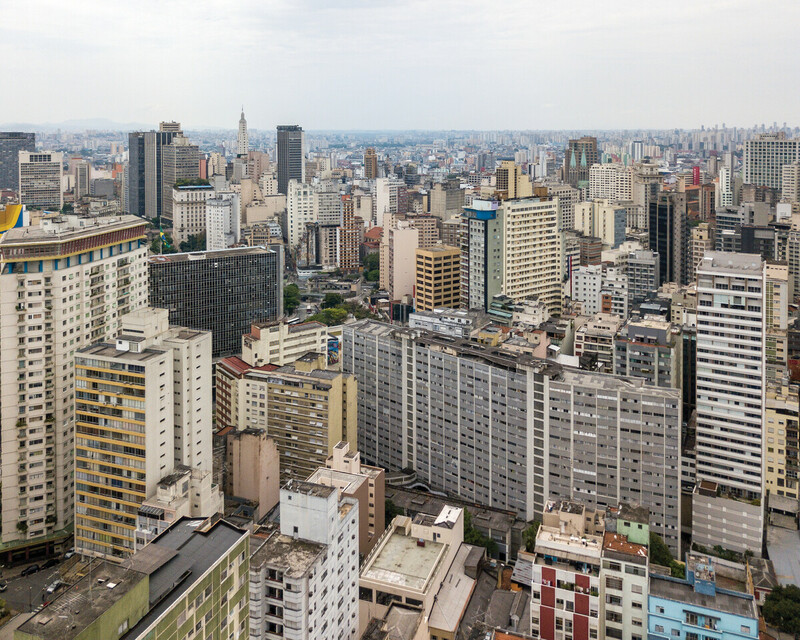 The second unit of the research examines the expansive legacy of collective housing models present in South America, arguing the contemporary metropolis can learn from these case studies. 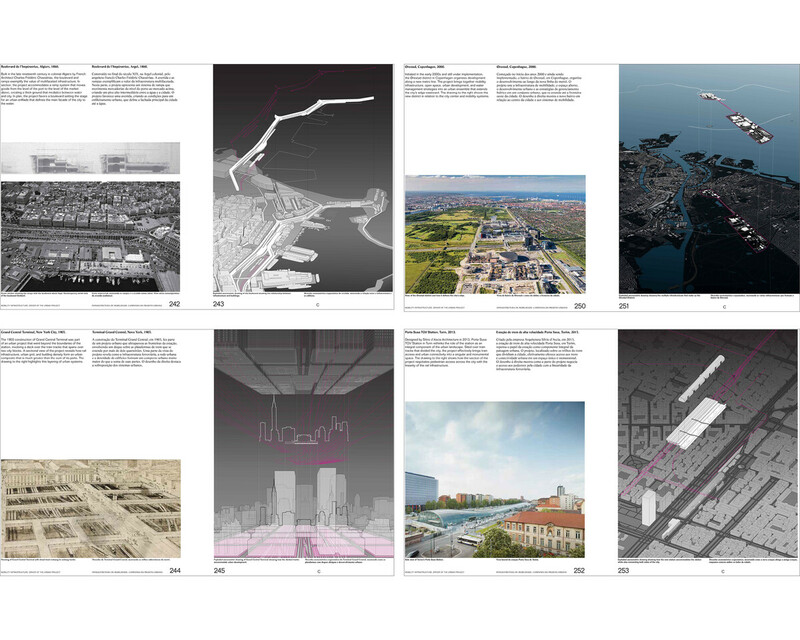 The third unit of the research presents an overview of urban projects, from the 19th to the 21st centuries conceived through the transformation of mobility infrastructure. 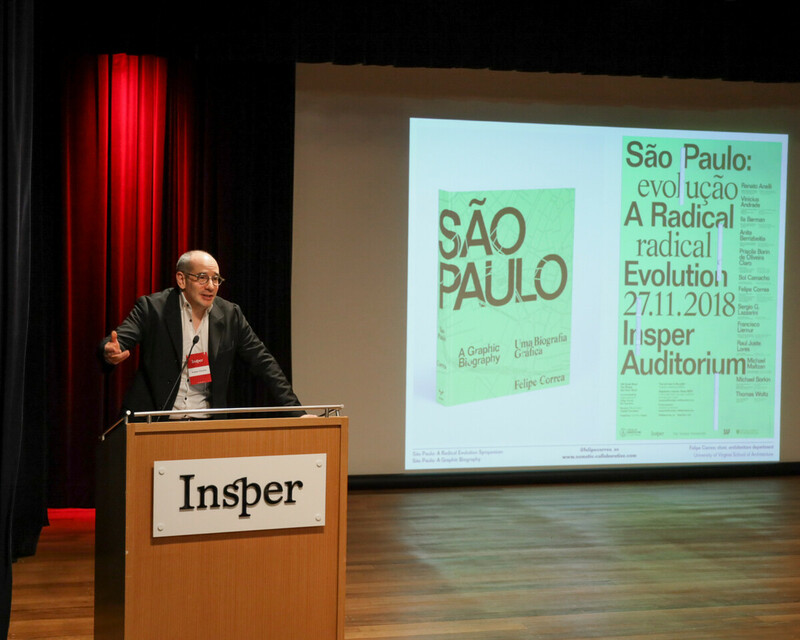 Lessons that are essential for contemporary São Paulo. 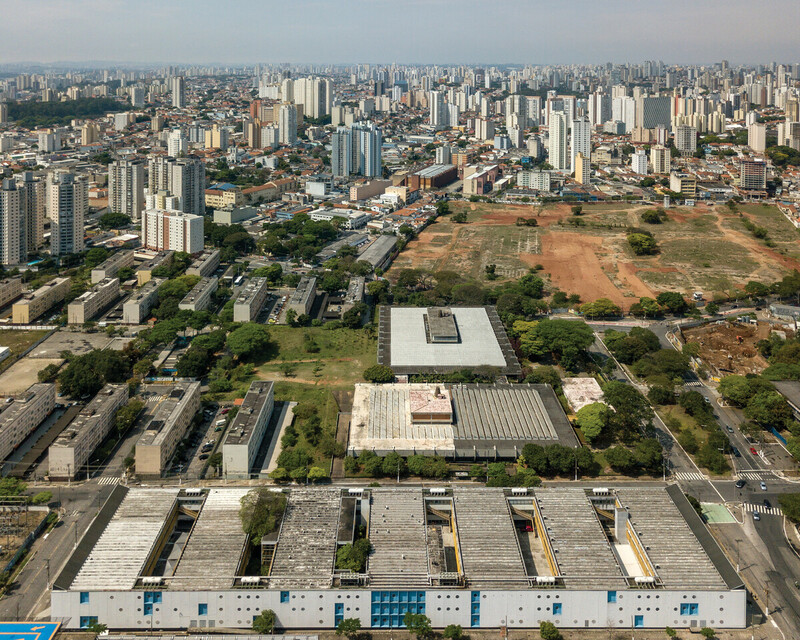 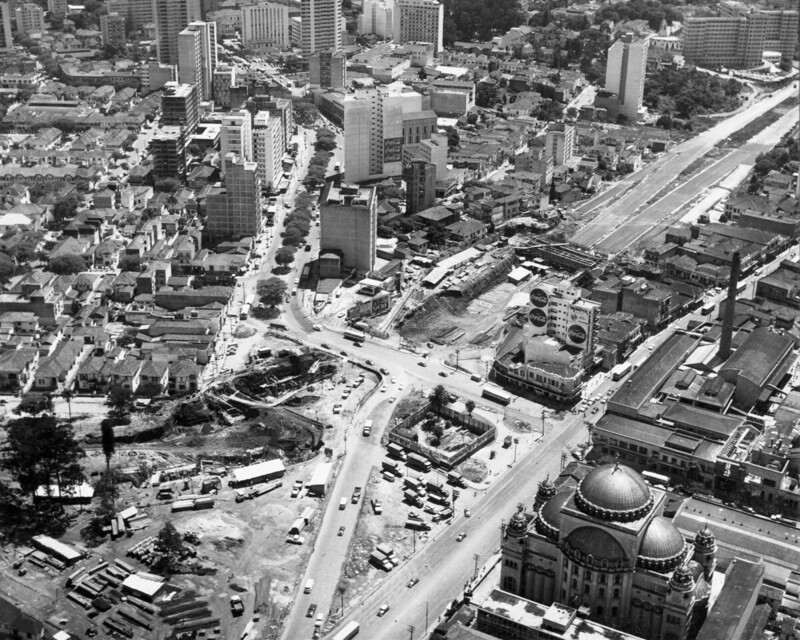 The fourth unit of the research singles out the most important urban visions —both built and unbuilt— that have played an influential role in the shaping of São Paulo. 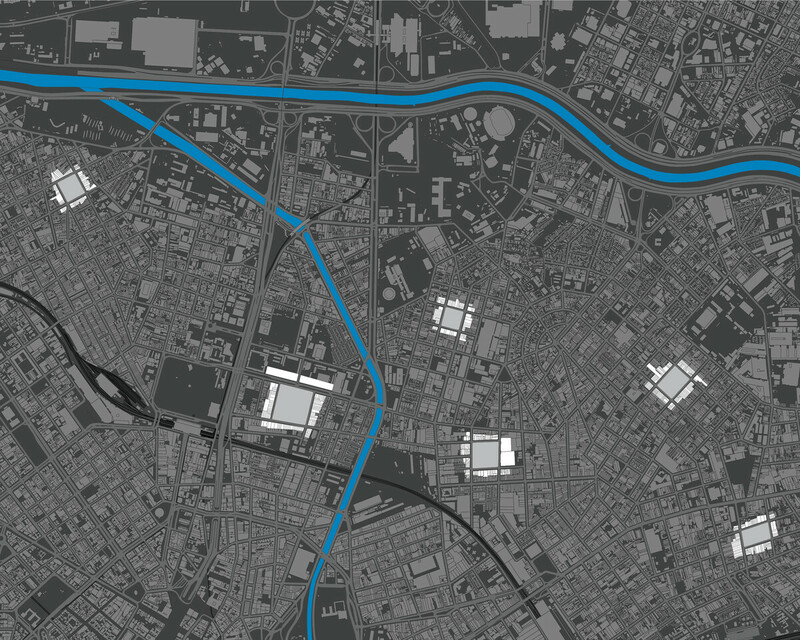 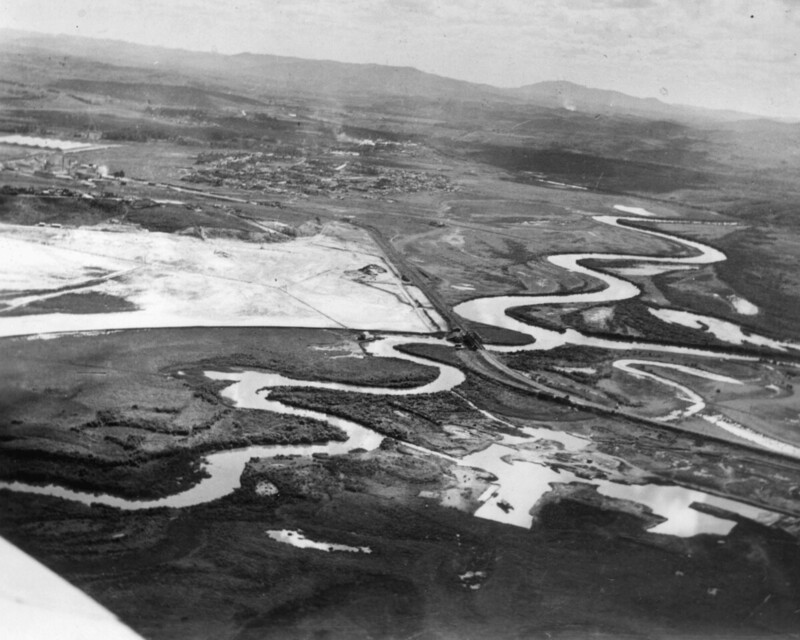 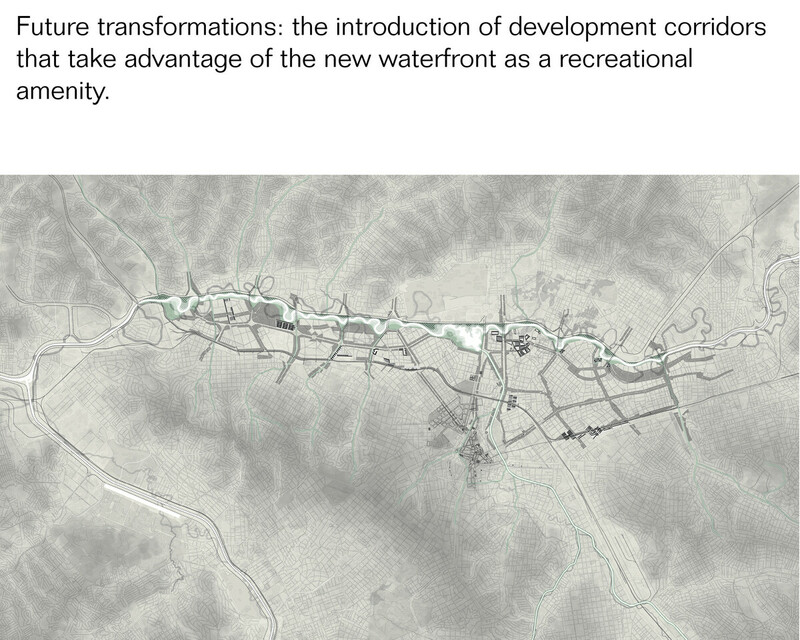 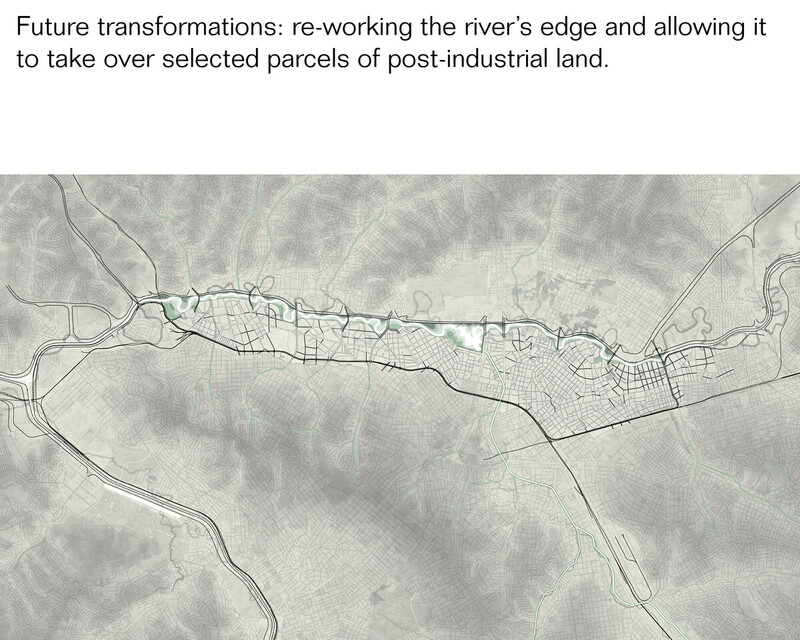 The fifth and final research unit presents an evolutionary plan to better connect the city center to the Tiête River, by re-organizing a large tract of postindustrial land between the rail line and the water’s edge. 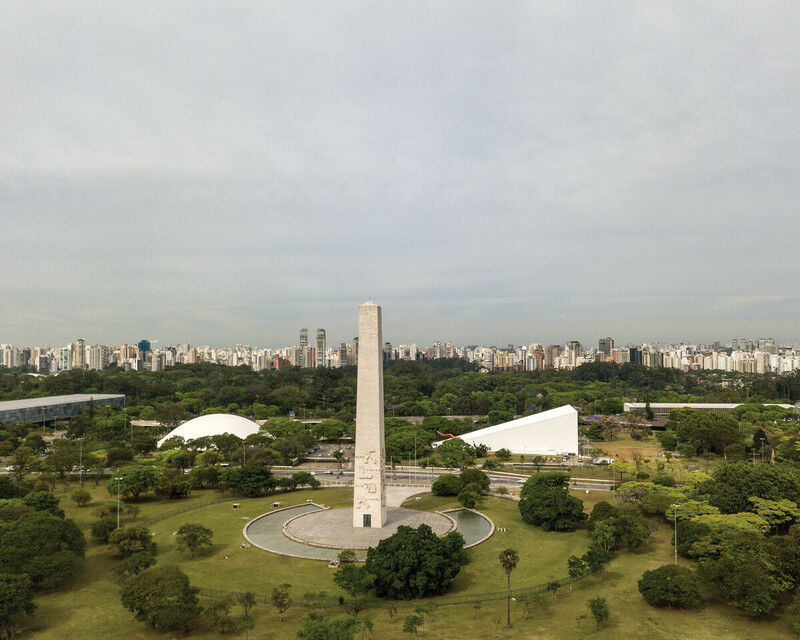 The work is documented in the book “São Paulo: A Graphic Biography” published by University of Texas Press in 2018. 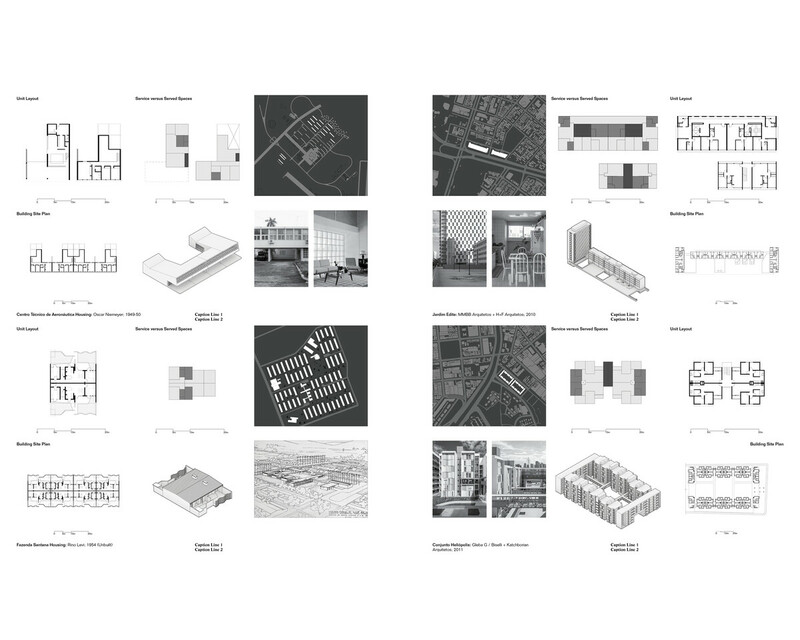 The work was also presented in an exhibition format. 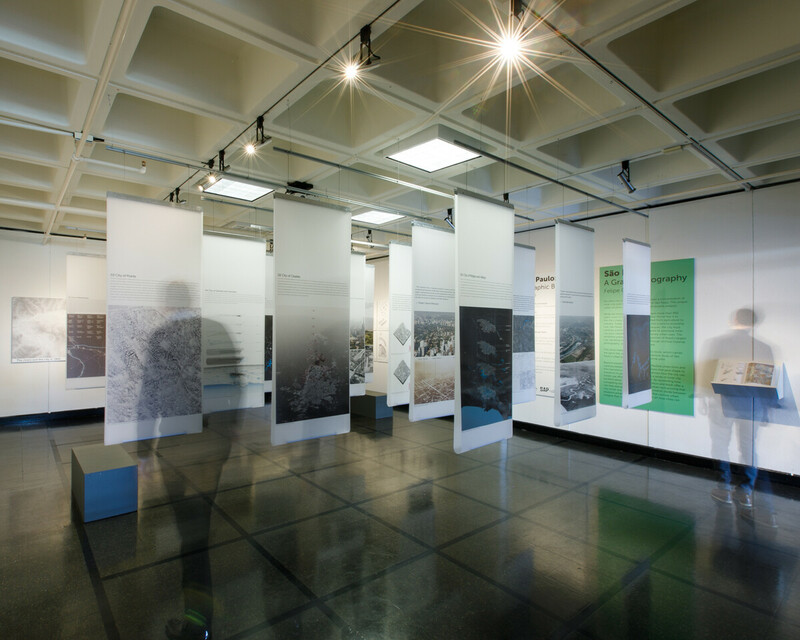 The first show opened in the Elmaleh Gallery at the University of Virginia School of Architecture. 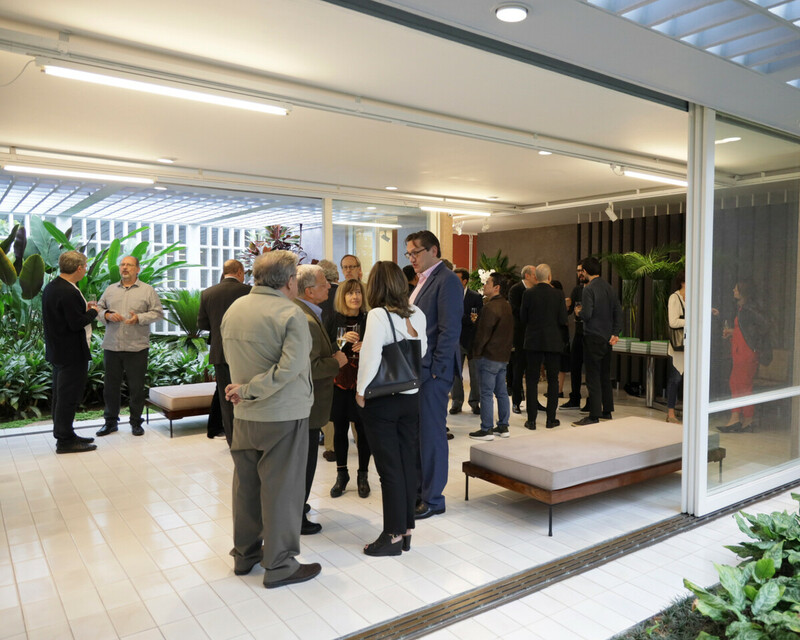 The book was presented in São Paulo on November 26 (2018) at the Luciana Brito Gallery. 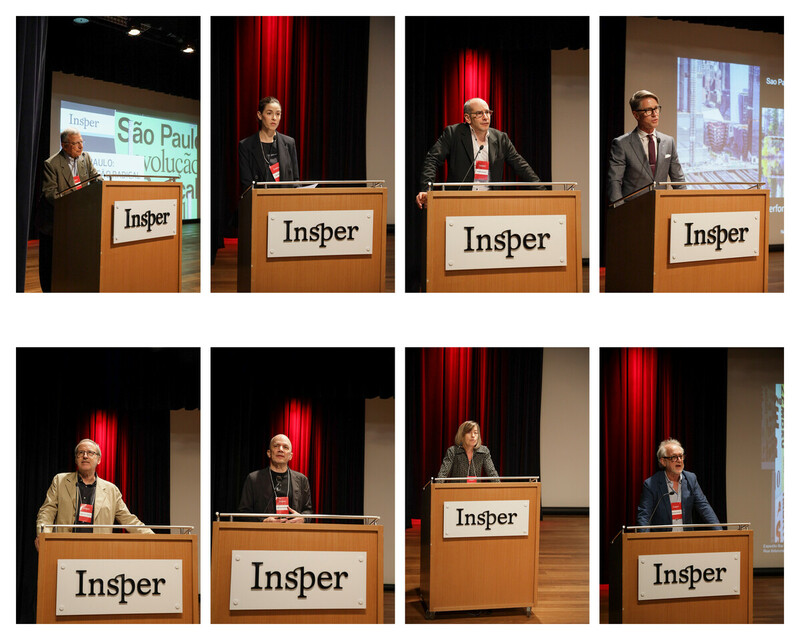 The book launch was followed by a one day international symposium at Insper, on November 27 (2018). 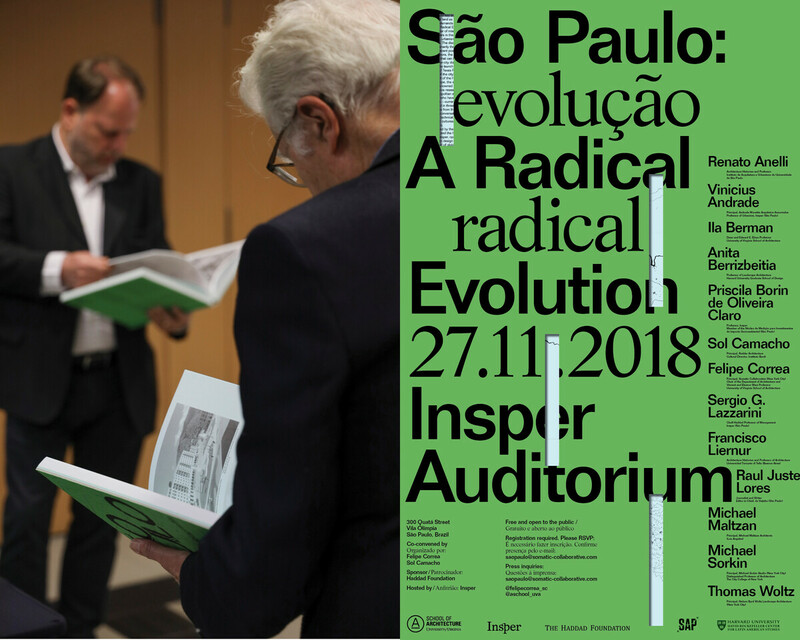 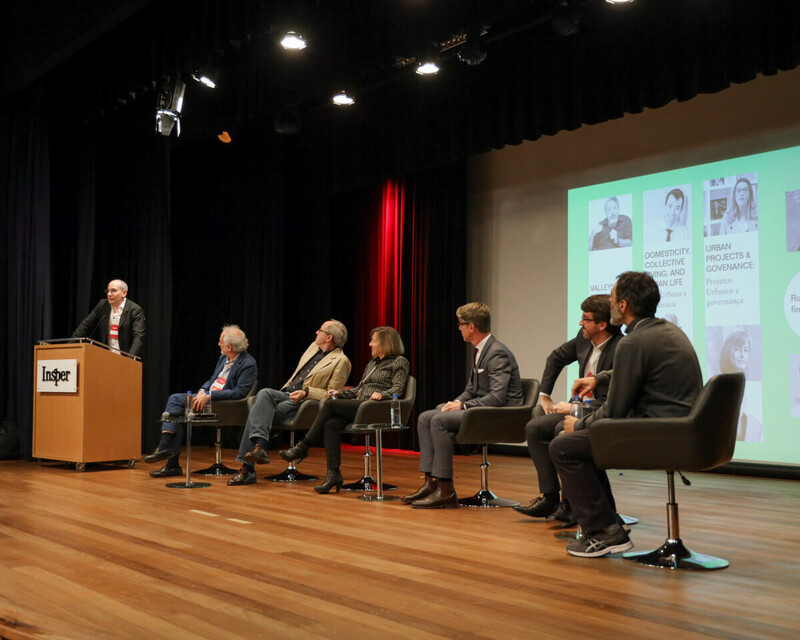 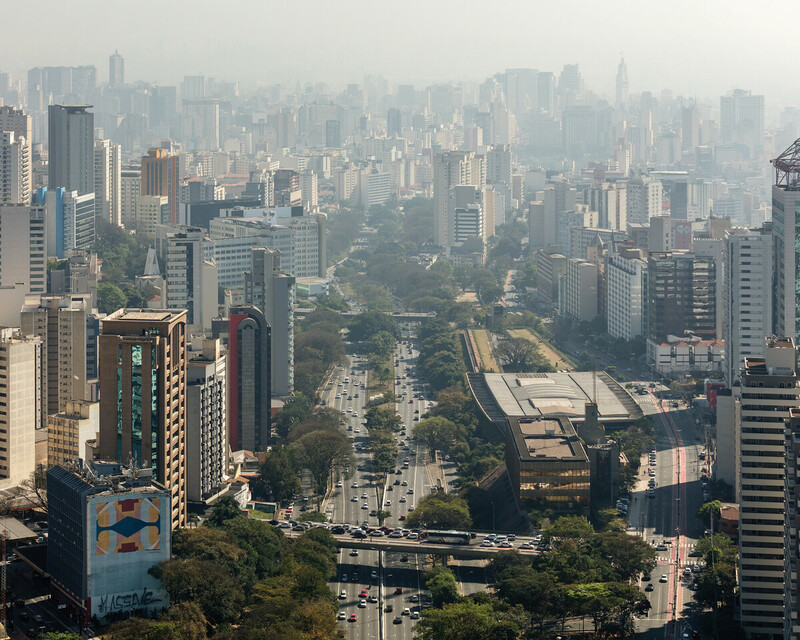 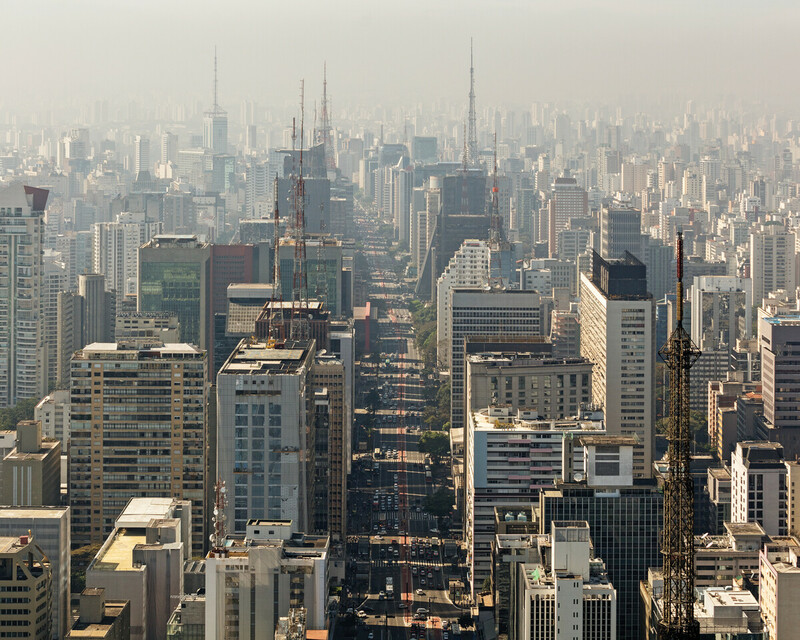 Building on the arguments made in the book, the symposium brought an international cohort of architects and landscape architects to reflect on the challenges São Paulo faces, and the urban lessons it has provided. 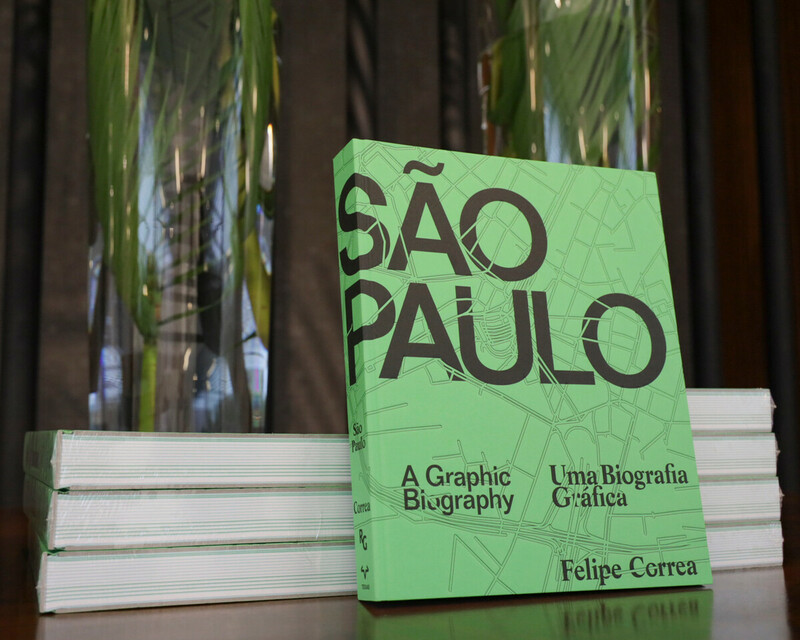 All drawings produced by Felipe Correa and the São Paulo: A Graphic Biography team. 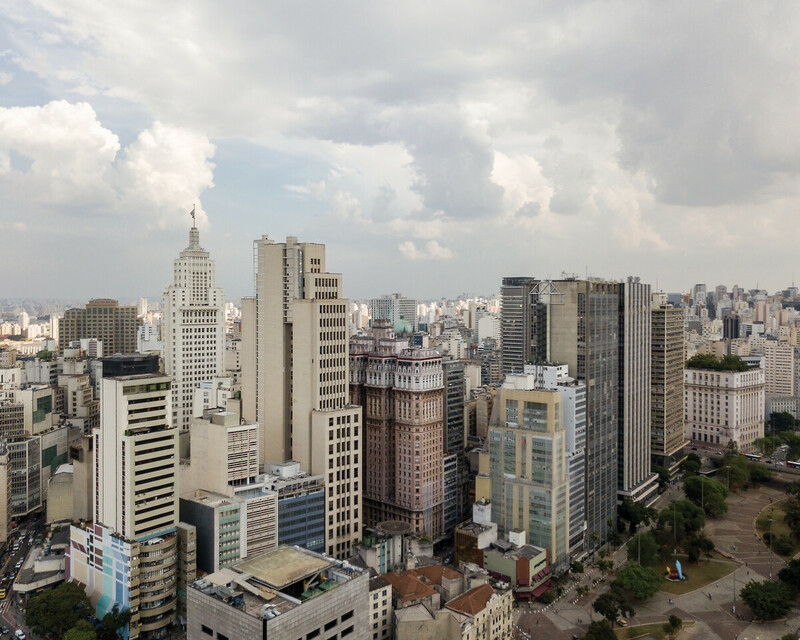 All contemporary photography by Leonardo Finotti.